When I was a kid, we had a DQ near our house in Middletown, NY. We didn’t go often, but maybe a couple of times a year, we’d go for Blizzards. I remember loading those things full of chocolate candy bars that always managed to sink to the bottom. And I always got the biggest size they had. They opened a new place kind of between home and work called “Dairy Queen Grill & Chill”, and, naturally, the nostalgic part of me wanted to get a Blizzard, since it’s been a good 20 years since I’ve had one. 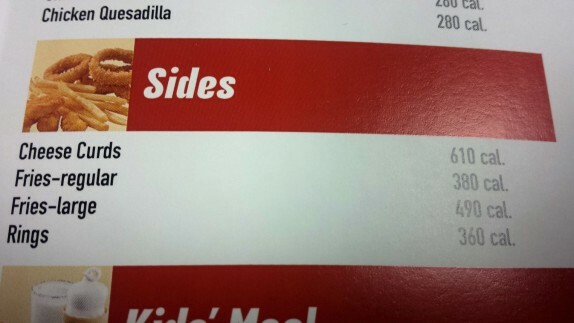 As far fetched as that sounds, it’s something a “Secret menu” master can totally create there. So about $15 later (because I had to also indulge in a Blizzard), I walked out of Dairy Queen Grill & Chill. 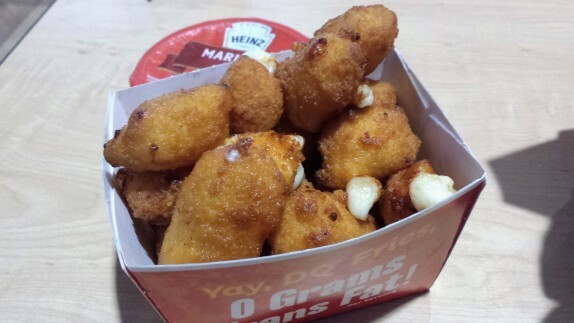 Let’s start with the fried cheese curds. “beef patties.” I hadn’t realized that I ordered a version that came with two patties. I had a hard time finishing that. 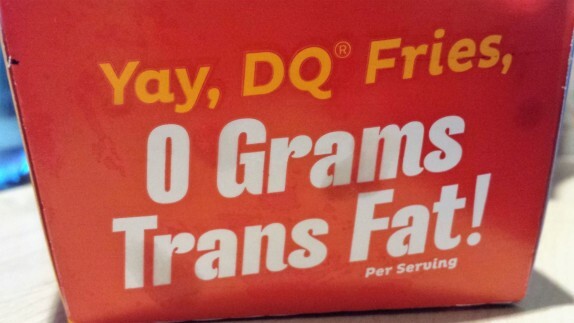 The fries were fine, but the container they come in was a joke that touted “Yay, DQ Fries, 0 Grams Trans Fat” like that means anything. While I was working on all that stuff, one of the runners was walking around with my Blizzard upside down. And when I put my hand out to take it from him, he proceeded to turn it back right-side-up and flip it upside down in front of my face. That’s like a schtick there, because they were doing that with every Blizzard I saw delivered to a table. I ordered the smallest Blizzard I could. It was plenty after all that other junk. 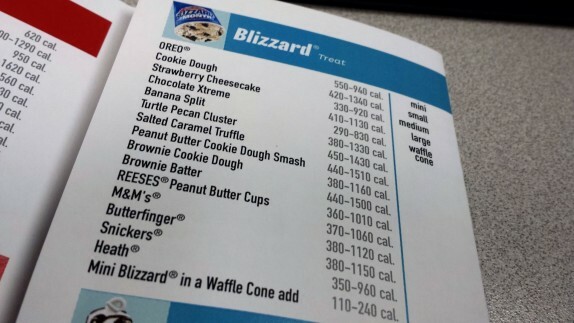 Actually, one thing that I noticed was that each Blizzard was explicitly branded on the menu, rather than allowing you to dump whatever you want in. There was a Reese’s, an M&Ms, Heath, etc, and there were a couple of special combinations, which I guess rotate from month to month. If you want to do like the old school and dump whatever you want in, the charges add up quickly. What I received was their nondescript vanilla ice cream with Reese’s cups and extra peanut butter mixed in. They’ve advanced their blending technology to make sure there is enough of the mix-ins at the top of the dessert as at the bottom. And they’ve also engineered their ice cream to allow for the flipping routine despite being whipped to oblivion. 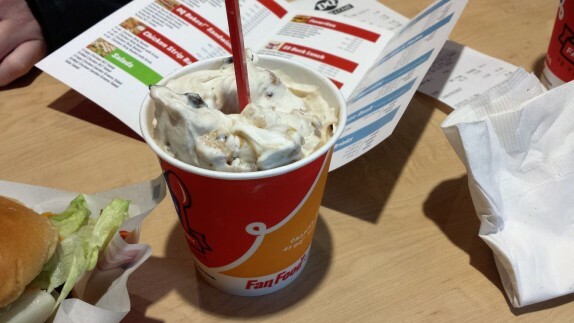 Aside from the fairly poor savory food, I definitely felt that bit of nostalgia I went for when I ate the Blizzard. 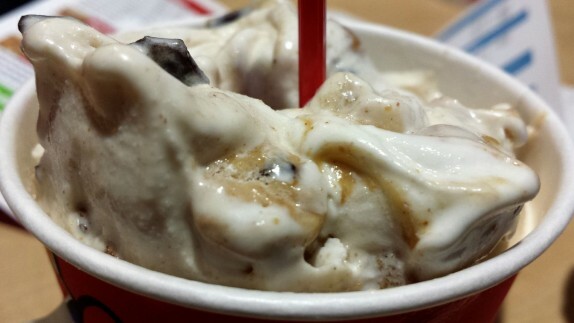 But, I’ll probably stick to cheese curds and Blizzards if I ever have a hankering for DQ again. 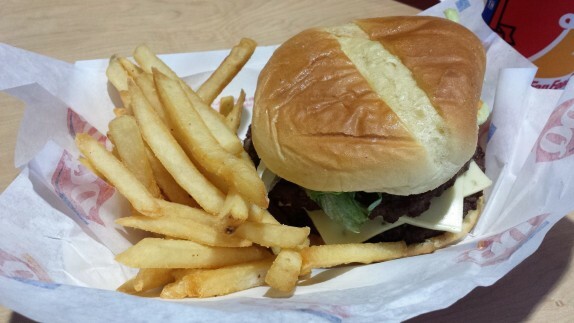 We had a DQ near our high school that put out consistently bland but tasty burgers. When I drove across the country in ’89, I promised I would stop for lunch at a burger joint every day. I looked for Mom and Pop joints and their signage along the Interstate and bought T-Shirts as souvenirs to wear at the gym in San Diego. It was a great way to add anticipation to the boring hours of driving. 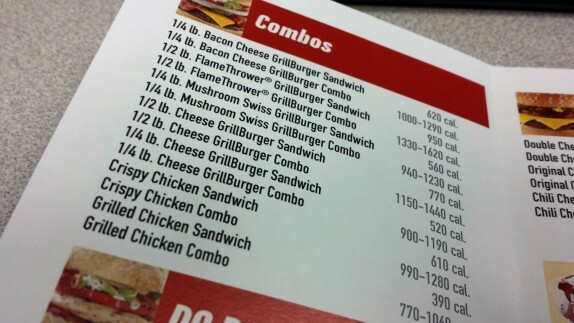 Out of the ten burger joints I stopped at, the best burger I had was from the Dairy Queen in Springs, Texas, and called the Belt Buster. 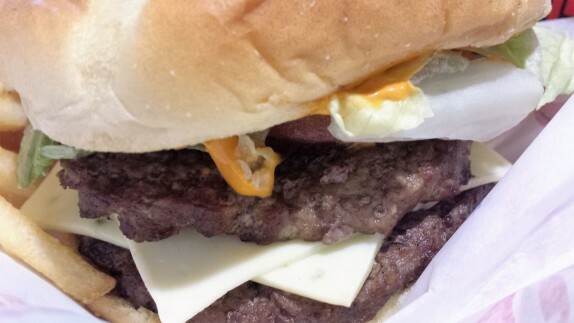 Double Cheesy and greasy, it stands in the Top Five of All Time. I miss it.